We meticulously design shopping carts with comprehensive merchant, gateway, and product information. Our experts will craft search engine friendly urls that help to optimize your shopping cart (these are the so-called flat urls, which are great improvements over those long and confusing ones that search engines can’t index). We support multiple currency languages (even allowing shoppers to view in their currency but transact in yours), as well as numerous options for product reviews. We also provide e-check support (Authorize.net) and unlimited custom payment method options. Combined with search-engine friendly architecture, unparalleled wholesaler support, and much more, RCS-designed shopping carts stand head and shoulders above the competition. We facilitate the sale of digital products (i.e., music and video). 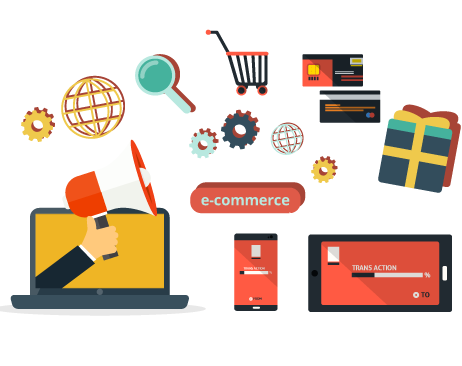 Our e-commerce development team also provides promotional codes (e.g. “buy one, get one free” promotions), gift certificates, discounts, tell-a-friend links, best seller links, product export for online market places, suggested product displays, and much more. By integrating software like Quick Books into your shopping cart, you will enjoy a hassle-free, automated updating of your inventory each time a consumer completes a purchase. From product-level inventory tracking to attribute level inventory tracking, you will be able to exert total control over how your products are sold and tracked (and of course the process can be automated, for your convenience). 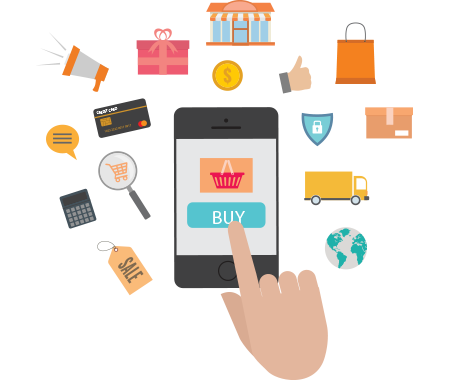 With RCS, you can rest assured that your e-commerce site will meet the most stringent security standards. We provide full support of HTTPS/SSL protocols, locking account option for failed credit card attempts, PCI/CISP Compliant features, the ability to control administrative access and set access levels, and many other features. We believe in providing our clients with choices, and for this reason our team supports a number of gateways unmatched by our competitors, including prominent options like PayPal and Google Check-out. We provide you with an easy-to-use but comprehensive administrative control panel that allows you to manage your own website, including adding, editing, and deleting products, pictures, data about your inventory, the export of products to Google Base, BizRate.com, ShopZilla.com, and much more. We facilitate the use of Google Analytics to provide our clients with consistent, up-to-date feedback on the flow of traffic to their e-commerce site. We offer dynamic graphs for reports, automatic reports for top viewed products, orders, referring sites, sales, individual orders, promo codes, payment types and many other comprehensive reports. With help from the RCS team, you’ll enjoy unprecedented access to your customer base. The specialists here at RCS will fully integrate your newsletter campaign into MailChimp, for easy and efficient distribution. We take this service a step further and integrate it so deeply with your shopping cart that you will enjoy comprehensive track and reporting options, exceptionally rendered templates, a vast array of subscriber management tools, geographical targeting, and much more.